Joining me today is Chef Diana Riley. 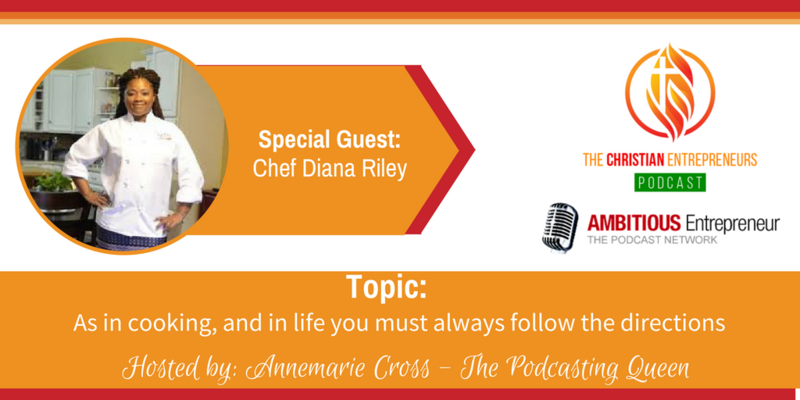 Chef Diana Riley is a multi-tasker, passionate, and purposeful woman. She is a wife and mother. Chef Diana Riley graduated Chef John Folse Culinary Institute at Nicholls State University. She is also the Author of Cooking on Purpose: Life Lessons Learned From the Kitchen. When not doing business, she spends most of her time with her family,volunteering at church and is relateable as the “mama chef next door”. Diana’s mission is to serve others through her catering company and teach the fundamentals of cooking and the significance of sharing simple, nutritious, affordable and pleasing meals with family. In her best selling cookbook, she shares her journey and readers can gain insight to the “chef life”. 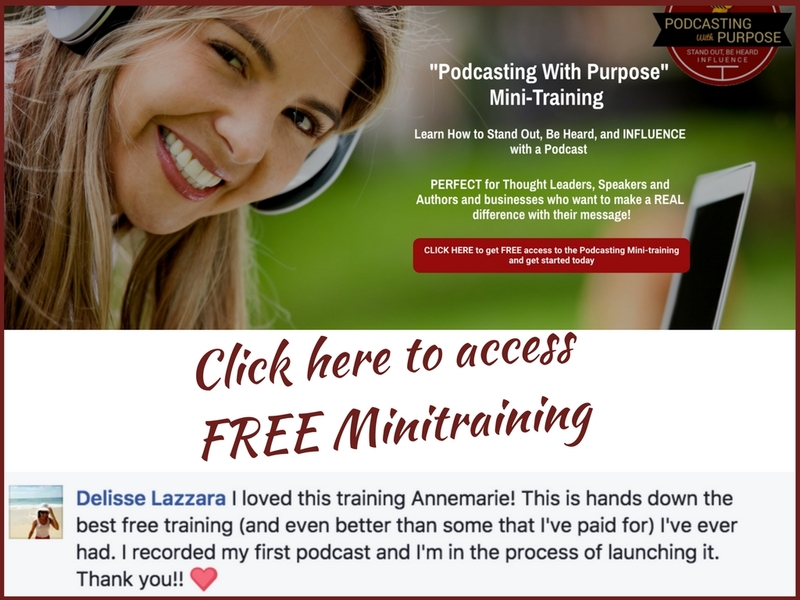 Discovering your purpose and evolving into the person God created you to be. 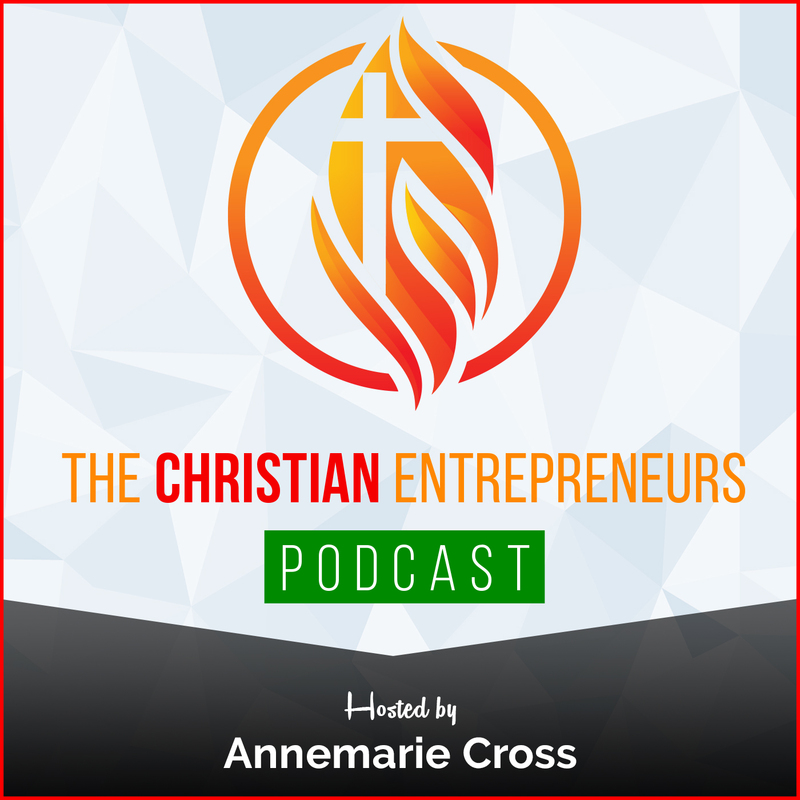 Insight on how to sustain a family life while pursuing your passions, goals, purpose and taking self care. Understanding your personal development is connected to your spirtual growth. Chef Diana Riley is a multi-tasker, passionate, and purposeful woman. She is a wife and mother. Chef Diana Riley graduated Chef John Folse Culinary Institute at Nicholls State University. She is also the Author of Cooking on Purpose: Life Lessons Learned From the Kitchen. When not doing business, she spends most of her time with her family, volunteering at church and is relatable as the “mama chef next door”. 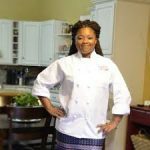 Chef Diana Riley's mission is to serve others through her catering company and teach the fundamentals of cooking and the significance of sharing simple, nutritious, affordable and pleasing meals with family. In her best selling cookbook, she shares her journey and readers can gain insight to the “chef life” To learn more about Chef Diana Riley and The Kitchen Table, LLC visit www.dianakitchentable.com.